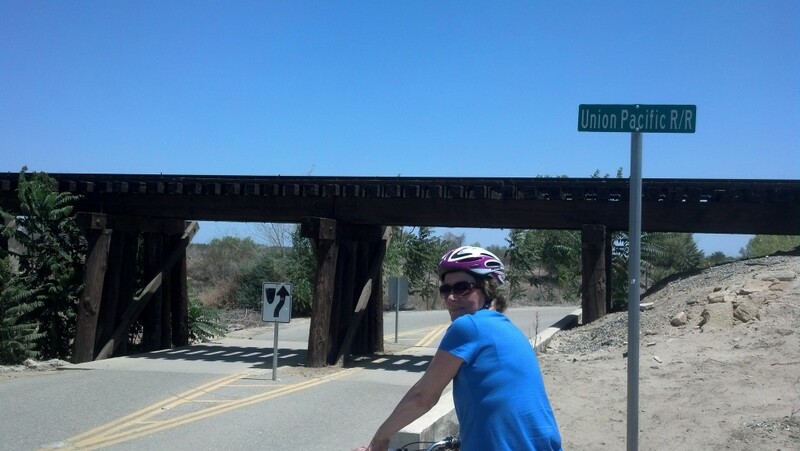 Traveling back to Tucson, we stopped in Bakersfield to get a bike ride in on the Kern River Bikeway. The 20 mile trail ride gave us a break from the car-driving but the temperature of 98 degrees made it a little hot. Take plenty of water. While traveling to California to cheer on our kids in a 1/2 Ironman in Guerneville, we stopped in Monterey and took to the Coastal Biking Trail. “Winding along the Pacific coast, the Monterey Peninsula Recreational Trail (a.k.a. the Monterey Bay Coastal Trail and Monterey Bay Coastal Bike Trail) offers breathtaking views of the Pacific Ocean and a great way to tour the city while enjoying the outdoors. This wonderful coastal rail-trail currently extends 18 miles from Pacific Grove to Castroville and is regarded as one of the most scenic long trails in California. We parked at the southern end of the trail and cycled the 18 miles to Castroville, the Artichoke Capital of the World, where we stopped for lunch. 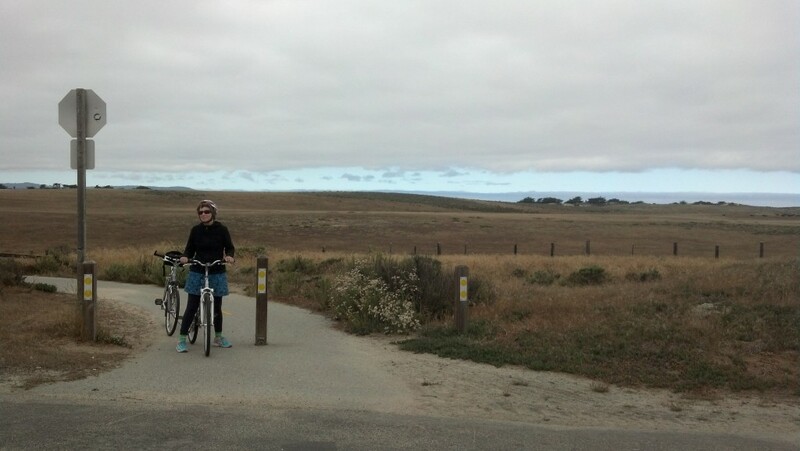 We returned to Monterey after completing the 36 miles of beautiful trail with gorgeous views of the Pacific. 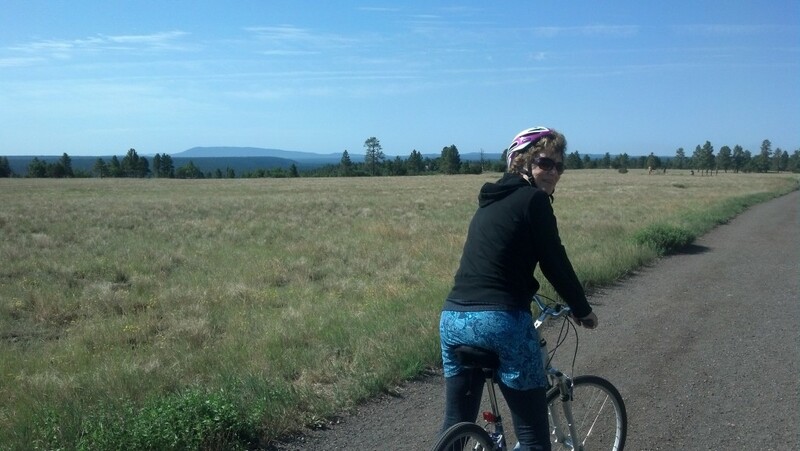 Flagstaff ride in the summer! While visiting with my son in Tucson, we decided to take a trip North to Flagstaff to enjoy some cooler weather with our grandson and hopefully take advantage of Flagstaff’s wonderful urban trail system. Since we all had wide-tire bikes, we took the unpaved trail which was right outside our hotel towards the Fort Tuthill County Park. From there we figured our way over to the Ponderosa Trail (which is paved)and also goes through an open meadow. We made our way back towards the hotel. Flagstaff provides a great map of the Urban Trails and Bikeways, available free at their Visitor Center. 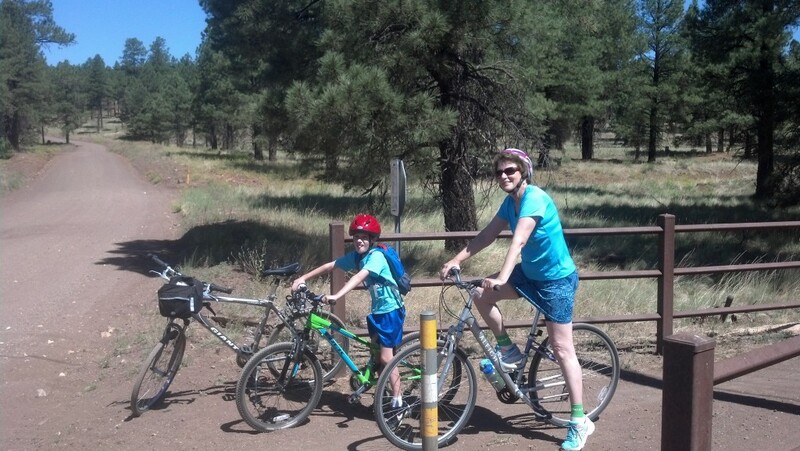 On another day we cycled around the Buffalo Park Loop – beautiful meadow on top of McMillan Mesa.